Back in grade school, theater plays were way too boring. Foremost, I can't relate to the stories so probably that's the reason why I didn't understand any of them. They were too deep for my age; I remember I just slept through half of those shows. Now, though, things are different. Theater plays became more interesting, humorous and can affect you emotionally. I love that they tackle real time and real life issues, meaning they're extra engaging. Along with this, you might want to join me and watch UST's Artistang Artlets' major production entitled "Sa North Diversion Road". This production is written by Don Carlos Palanca and FAMAS awardee Tony Perez. Plotted along the stretch of North Luzon Expressway, common are the cars that drive around the highway but it begs to ask the question what's behind those moving vehicles. 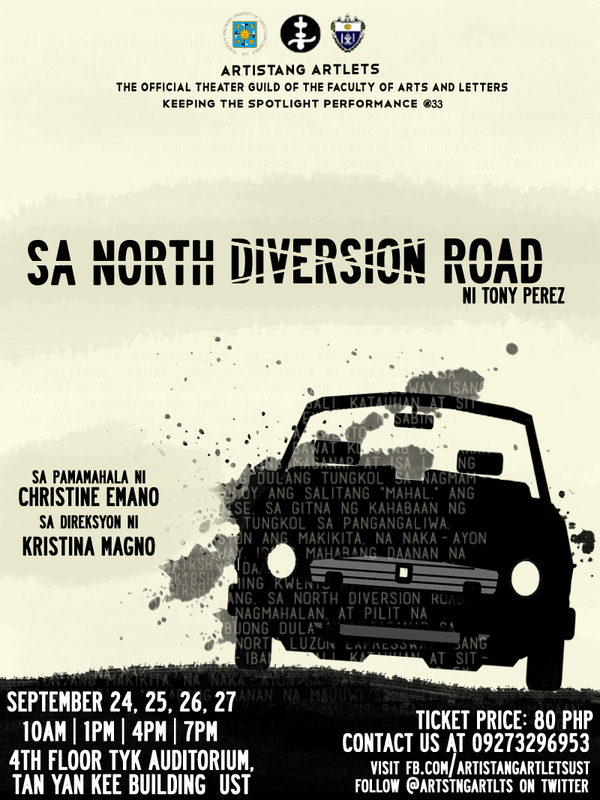 Staged and even turned into a movie starring John Arcilla and Irma Adlawan, the North Diversion Road will surely take you on a smooth ride combined with unexpected swifts and turns of a couple's love story. This is directed by Ma. Kristina Magno and produced by Christine Emano. You can watch "Sa North Diversion Road" at the University of Sto. Tomas' Tan Yan Kee Auditorium, Tan Yan Kee Building this coming September 24, 25, 26 and 27, 2013. Time slots are 10AM, 1PM, 4PM and 7PM. 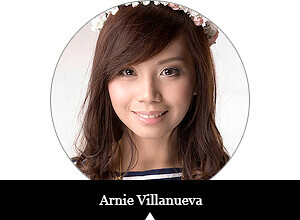 For inquiries, contact Cymon Denise Mercado at 0927-329-6953 or visit Artistang Artlets' Facebook page here.